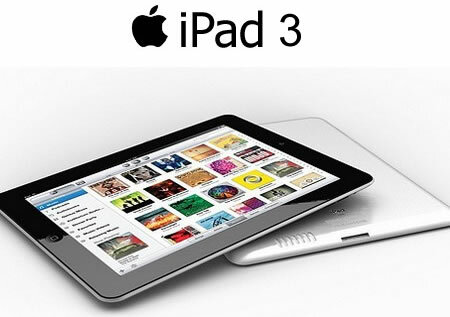 Apple iPad3 Announcement in March? - New A5X CPU, 8MP Camera...? It looks like a few details are leaking from sources in China regarding new photos of a possible logic board for an iPad3 as rumors begin to circulate. The acclaimed A5X (eXtreme?) would be an upgraded dual-core processor would boost the graphics and processing power from the iPad2 A5 dual-core processor chip. A few rumors earlier this year suggested Apple equipping the iPad3 with a quad-core processor - possibly a quadcore Apple A6. However, a recent report claimed Apple to be sticking to dual-core processors. In addition to the upgraded processor, a speculated 8MP rear camera will be replacing the very poor camera resolution from the iPad2. A possible front facing camera much like the iPhone4S with 720P video resolution may be added to the iPad3 as well. One interesting idea for the 8MP camera being intended for taking photos “scan” of or close to 8.5x11 sized documents, perhaps with a “Scan” app that automatically detects, stabilizes the image, captures, and crops the image. This would be highly beneficial for Apple as they are pushing schools to move further towards going paperless. Rumors also sprouted about 4G LTE networking capability for the iPad3; also expected for iPhone 5 which is expected to launch this summer 2012, since no 4G capability was a setback on the highly anticipated with the iPhone 4s. It should be a bitter-sweet product launch as the 2 prior launches were headed by Steve Jobs who sadly lost his struggle with Pancreatic Cancer at age 56 last year. Our new computer repair shop opened a few weeks ago! Serving top-notch computer services and products for consumers and small/medium businesses, web design and online marketing services in Grand Rapids, MI. Digital Designs LLC was founded in Grand Rapids in 2008 by Stephen Geldersma - on the idea of helping consumers and small/medium businesses with cost effective ways to solve their computer problems. 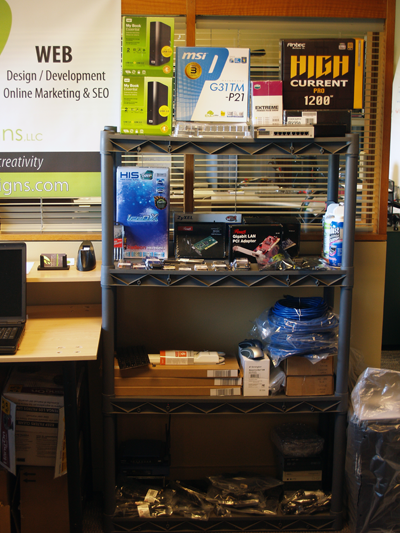 Utilizing Stephen's completed college education (BS Network Security), past State and National awards, technical and leadership experiences; Digital Designs is pushing forward in 2012 this year with a total of three Service Techs and a new office location at 6660 Old 28th St SE Grand Rapids, MI 49546 between 28th Street and Cascade Road. We are CompTIA Security+ certified and have multiple instore and onsite technicians who work to deliver fast, reliable computer repair services at one of the best competitive values within the greater Grand Rapids area. 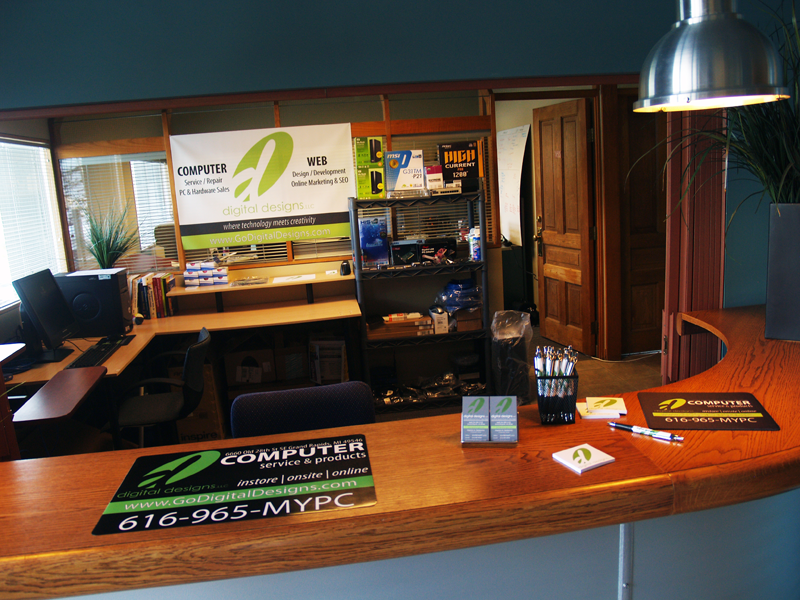 Come in and bring your Windows or Mac laptop or desktop. If it’s a desktop, only bring the tower/box only; if a laptop then bring along your AC power adapter. If you are having issues with a certain peripheral device then bring that along too. 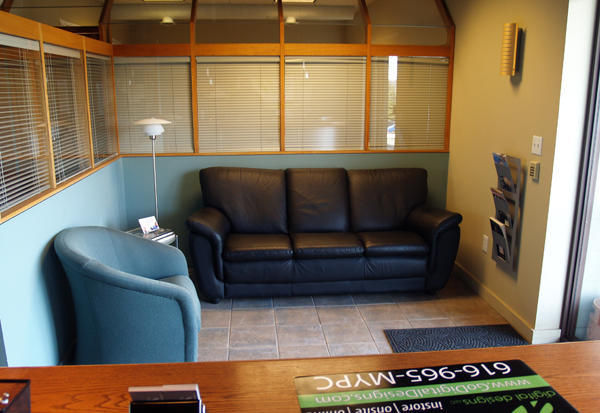 We’ll check in your equipment at our service desk right where you first walk into the building. We’ll provide a free estimate for service and free diagnostics including our 25-point full system inspection to provide you will documentation of the full status of health and performance of your computer (all before you pay a dime). All of our computer services come with a 30-day money back service guarantee and we stand by our dedication to customer satisfaction. 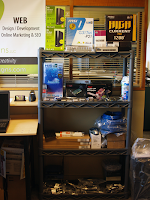 We carry common laptop and desktop hardware parts in store including RAM/memory, hard drives (internal and external), optical drives, power supplies, motherboards, graphics cards, sound cards, networking cards, mice, keyboards, and other computer accessories. Utilize our waiting area (free wireless access to customers) if you wish to stay until our diagnostics and system inspection is completed. This generally takes between 10-15 minutes then we will give you a report in hand at no charge, along with our recommendations on next steps for your computer. We have fixed rates for most of our computer services which can be found on our website on the Residential Computer Repair page.